At every wedding that I photograph I am always looking for new vantage point. It is an easy thing to simply lift your camera to your eyes and take a photograph, but it takes a different skillset to change your angle of view on the fly - and do so effectively. At this fantastic 2012 wedding at Connecticut’s Barn at Wesleyan Hills in Middletown I was afforded an excellent opportunity in their unique reception space. The reception venue is an old barn, and there is a wonderful balcony that wraps around one end of the space. Towards the end of the first dance the bride and groom gestured for their guests to join them on the dance floor. I knew that I had a few more moments before the dance ended, so I ran up to the balcony to see if there was a picture to be made. I love this viewpoint because you can see the lights hanging from the rafters and you can see the reactions of all of the guests in the space. 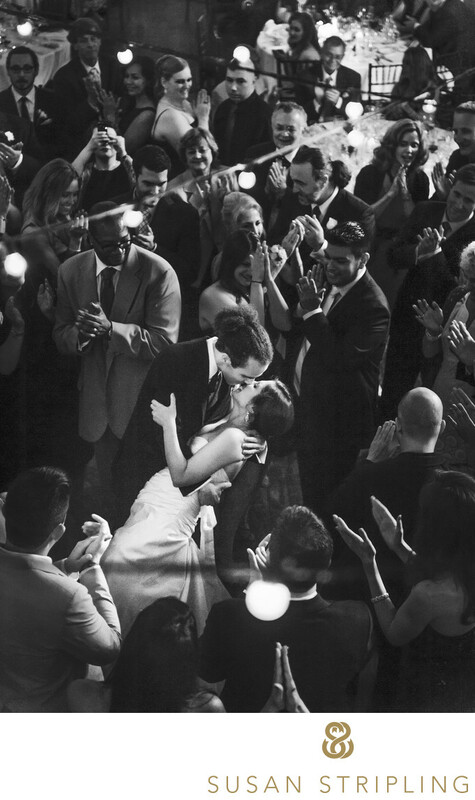 I had no idea that the groom was going to dip and kiss the bride at the end of the song, and it was a wonderful treat. I love those delightful unexpected moments, and I love it even more the fact that I was in a unique location to capture it. 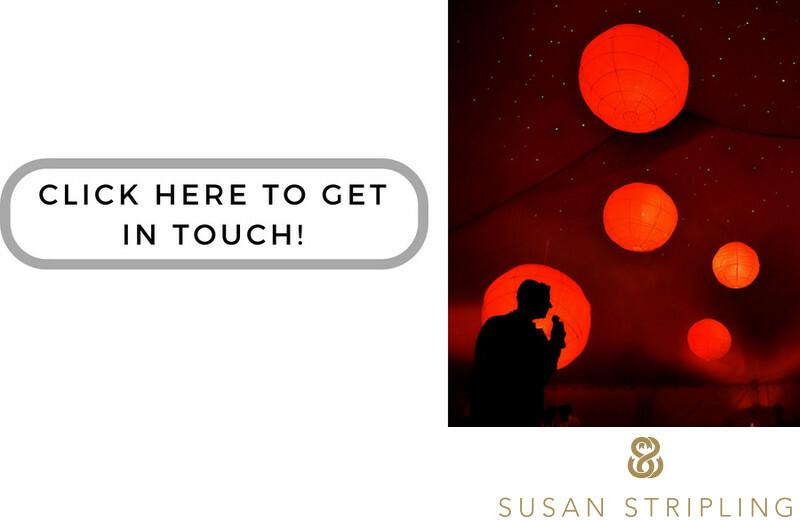 I'd love to talk with you about capturing the moments at YOUR wedding day - get in touch today and let's chat! Keywords: Barn at Wesleyan Hills (21), Middletown (21). 1/160; f/2.8; ISO 2800; 70.0 mm.